The National Transportation Safety Board [NTSB] is charged with investigating an aviation disaster. But in the event an aviation disaster is caused by a suspected criminal act, the Federal Bureau of Investigation (FBI) becomes the lead agency responsible for conducting the investigation. Upon notification an aviation disaster has occurred involving a suspected criminal act, the FBI generally deploys a “Fly-Team,” responsible for investigating the incident. On 24-hour alert, Fly-Team personnel have multifaceted backgrounds and experience conducting large scale criminal investigations. Typically speaking, conducting a criminal inquiry as a result of an aviation disaster, the Fly-Team is headed by an Investigator-in-Charge and staffed with special agents, analysts and support personnel trained in criminal investigations with many having additional training concerning aviation and evidence recovery, i.e. the FBI’s Disaster Squad. 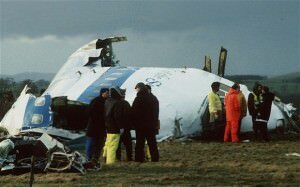 The Aviation Disaster Family Assistance Act of 1996 establishes the framework for coordinating an aviation disaster response in the United States, as does the Federal Family Assistance Plan for Criminal Aviation of 2004 which mandates that the FBI is responsible for coordinating a disaster response involving a suspected criminal aviation event. Notified about an incident, the FBI always works closely with the various federal, state, and local authorities investigating the incident, including volunteer agencies and the airlines to meet the needs of disaster victims and their families. Family counseling, victim identification and forensic services, including translation services and communication with foreign governments are some of the services the FBI coordinates when investigating an aviation disaster. The FBI’s Office for Victim Assistance (OVA) is generally responsible for coordinating resources of those agencies involved in providing assistance to families involved in an aviation disaster criminal investigation–providing briefings and updates to family members as an aviation inquiry proceeds which generally lasts until an investigation/prosecution has concluded, and sometimes longer depending upon the circumstances. Directory members can be extremely helpful to anyone seeking information and/or requiring a professional opinion in criminal matters concerning an aviation disaster investigation. Looking for an expert, visitors need only use the website’s search feature, entering the appropriate skill, as well as the geographical area of preference to make contact with an FBI specialist, using the information provided.